Now that I have that stuck in your head, it's a lesson I'm learning daily. 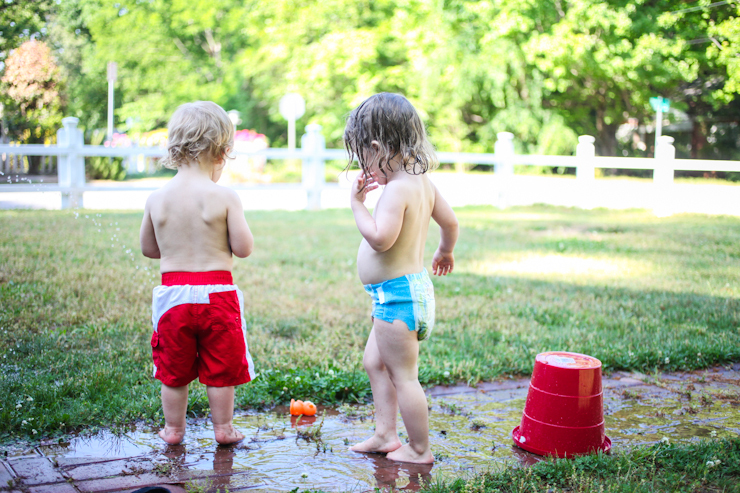 And it's one of the hardest parts of motherhood for me: tossing my plans and to-do lists aside in favor of his needs. A couple weeks ago, Liam and I had more time together than usual as his normal childcare wasn't available. I attempted a couple errands with him first thing in the morning, but by our third stop (rookie mom mistake), he threw a full out tantrum when I tried to pry calligraphy ink out of his hands. I tried to stay really calm as I carried him kicking and screaming to the car, and thought, Who is this kid and what happened to my Liam? I've found that punishing him for these breakdowns just doesn't work - unless he does something harmful like hitting or biting - so staying calm is about the only thing that does. Eventually, he breaks, and will usually be very loving for the next few hours. Or at least the next few minutes. He's 1. It changes all the time. What I realized, though, is that the rest of my agenda for the day was just not going to fly. So I made a conscious choice to let it go, and we headed to Pullen Park. If you've been there, you know - that place is magic. Any semblance of a bad day just melts away as soon as you enter the gates. Tim Keller has often said that, as parents, it's important to address your child's specific needs. He gives the example that if your child is playing with fireworks, you should obviously take them away because they're dangerous - but address his need for curiosity in some other way. For Liam on this day, his need was for one-on-one time with Mommy, to run off his 19-month-old energy, and to play independently in a place where I didn't have to tell him "no" every 10 seconds. Isn't that every toddler's need from time to time? So we rode the train, we played in the sand and water (not ideal for those without a towel), rode the carousel and ate blueberry-hibiscus popsicles. 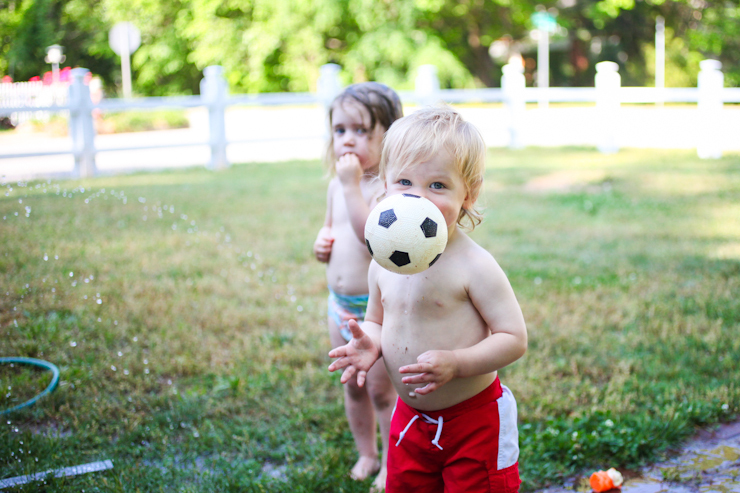 Then we raced back home when our neighbors texted, "Want to play in the sprinkler?" His face said it all: his heart was full, his needs met. He's just recently started saying, "Taaank yooo!" and I bet I heard it a hundred times that day. Does it mean that every day with Liam is an all-day play day? Where we just drop all our plans and head to the park? Of course not. That's not real life. But some days, it means exactly that. It means putting his needs - even if it's a need to ride carousels and eat popsicles and play in sprinklers and stomp in puddles - first. And the joy I feel when seeing his needs met is uncannily good. I'm glad someone is a local reader and can appreciate Pullen like we do. Needed to hear this today! =) Thank you! Have you read a Tim Keller book on parenting or is that concept pulled from some of his talks? I WISH Tim Keller had a parenting book (get it on that, Tim!) but no... just from some of his sermons.